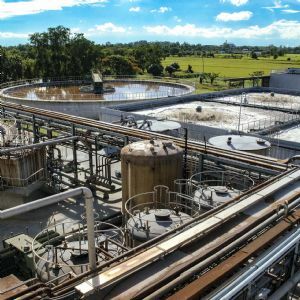 The recent publication of data about the quantity and quality of sludge produced at water company wastewater treatment works has ignited commercial interest in the wastewater sector ahead of reforms to create a new market for bioresources in 2020. 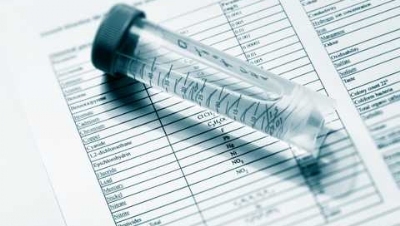 Water and sewerage companies in England have each published statistics on the volume and thickness of the sludge produced at their wastewater treatment works, together with details of the treatment processes that have been applied to the material, and the regularity with which it is collected by tanker. The data is intended to help the utilities identify opportunities for trading sludge across water company boundaries, and also for third parties to propose alternative arrangements and destinations for these bioresources, such as anaerobic digestion plants run by waste management companies, agriculture or others. However, the figures have also highlighted the potential for efficiencies that can be made within the field of sludge treatment and transport. In particular, they reveal where sludge thickening technology might be employed to reduce transport costs, and where improvements to treatment works – such as screening and grit removal - might result in a higher quality of end product. 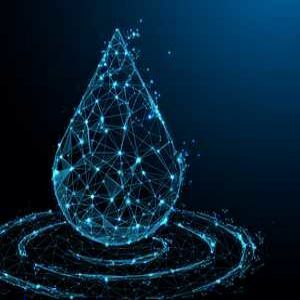 Supply chain companies in these fields are using the data to initiate useful conversations with the wastewater utilities, while the latter are keen to maximise efficiency of their operations ahead of the opening of the market. Since regulator Ofwat is initiating a separate price control for sludge as part of the PR19 price review process, there will be a strict boundary around bioresources activities and the rest of a water company’s operations. Water companies will not be able to cross-subsidise bioresources activities using money from their other activities. 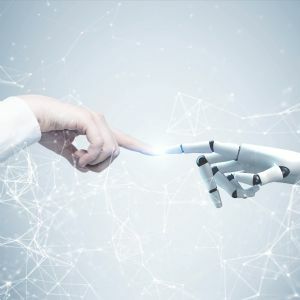 They will however have every incentive to either maximise the efficiency of their own operations, or to find third parties who can carry out these activities more efficiently. Water Company View: "We're very interested to see if there are opportunities to trade this valuable product with others." 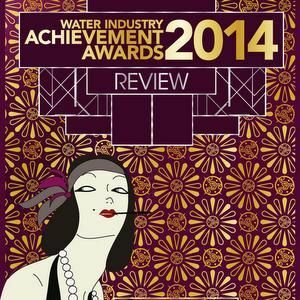 Wessex Water was one of the water companies to have published data on the sludge produced by its wastewater treatment works; it is keen to talk to potential partners who might want to trade sludge or make proposals for exploiting the resource better, according to George Taylor, Wessex Water’s Wastewater Director. The data confirms that the centrepiece of Wessex’s sludge operations is Avonmouth WWTW near Bristol, which produces 21,079 tonnes of sludge per year. 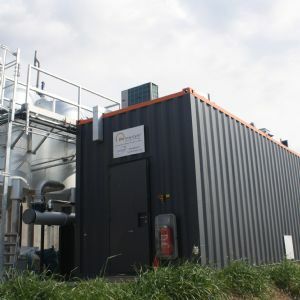 Wessex has invested in significant energy generating capacity on the site, a co-located food waste plant and a gas-to-grid connection and has set up a subsidiary (GENeco) to run these operations. In the competitive market a large site like Avonmouth with co-located sludge treatment facilities would be looking to import more sludge, confirms Taylor. “With GENeco we’ve set ourselves up to be ready for the market, to be ready for when this change happens. We have the knowledge and expertise in that area, as well as the processes in place at Avonmouth, that can make the most of it and we’re gearing ourselves up for that,” he says. At the other end of the scale, Wessex Water has 130 WWTWs which are less than 2000 P/E in size; the only data published about these sites are their location and volumes of sludge. While Taylor says that the utility “doesn’t want to rule anything out”, it is not anticipated that the volumes of sludge involved at these plants will be attractive enough for third parties to get involved. However, in between, Wessex has 98 wastewater treatment works over 2000 P/E in size where sludge is collected by tanker and taken to a treatment centre. 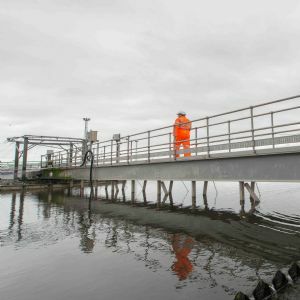 These range from the relatively large - such as Weston-Super-Mare WWTW which produces 3313 tonnes of sludge a year and from which sludge is collected daily – to smaller works producing as little as 30-50 tonnes a year and visited by a tanker fortnightly. This group of sites are likely to be of most interest to third parties; neighbouring water companies, local waste management companies, or others might bid to take, treat, and exploit the sludge. Minimising transport costs will be a key part of the market, as “it doesn’t make sense to be hauling sludge hundreds of miles,” adds Taylor. Third party facilities which are close to sludge-producing WWTWs are those that are likely to be able to make the most compelling case for deals. - Water and sewerage companies were asked by Ofwat to publish information about the quantity, location, and quality of their sewage sludge by November 2017 as part of the regulator’s efforts to open up a new market for bioresources. - The data is divided between larger treatment works serving a population equivalent of 2000 or more, and smaller treatment works with a P/E below this figure; significantly more information is being made available about the former than the latter. - Since sludge is typically transported from a site via tanker, the data also reveals how many tanker collections there are per week and the size of tanker that is able to gain access to the site. 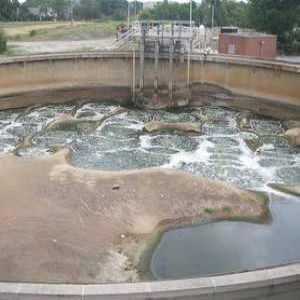 - The data also reveals the case for employing sludge thickening technology at many treatment works. If sludge is thickened to 6% dry solids for example, it will require half as many tanker trips to transport it than if the sludge is 3% dry solids. This transport benefit must be weighed against the cost of implementing a thickening solution. The water company bioresources data shows a wide range of sludge thicknesses being produced at wastewater treatment works, from 2% dry solids (DS) up to 6.5% or more. A sludge thickness of around 5-6% is ideal for onward transport: sludge that is thicker than this becomes more difficult to pump and manipulate and may choke equipment, while transporting more liquid sludge is inefficient as so much of it is water. Water companies are actively looking for low-cost ways of thickening sludge for better onward transport, but the type of sludge involved can have a big effect on what can be achieved: Surplus activated sludge (SAS) is more challenging to thicken than primary or co-settled sludge. One supply chain company active in this space, Plantwork Systems, says that it has seen a surge in interest for its non-mechanical Static Sludge Thickener (SST) as a result of the bioresource reforms. The released data has helped “massively” in identifying sites where thickening could make a difference, adds Oliver. 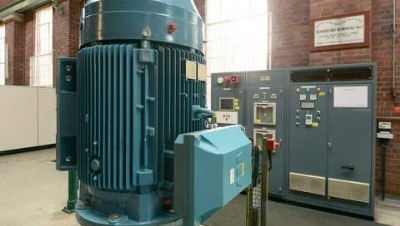 Many smaller WWTW sites have no thickening technology in place, while larger ‘hub’ sites often have belt or drum thickeners which could benefit from being replaced with a solution that uses less energy. PWS’s Static Sludge Thickener, which recently had a successful trial with Severn Trent (see next page) can thicken primary sludge to at least 6% and co-settled sludge to at least 5%, without requiring moving parts or polymer; it can currently achieve a minimum of 3% with SAS and tests are underway to prove it can reach a higher level than this. 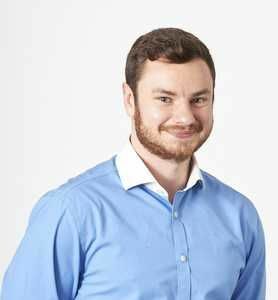 “Everyone in the industry knows that SAS is the big issue to thicken, and keep thickened without getting distortion and solid carryover,” adds Oliver. 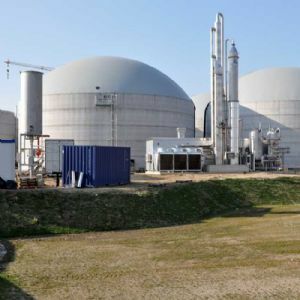 There are similar drivers for grit removal and sludge screening at wastewater treatment sites, both of which can improve the quality of sludge, making it easier to extract energy from the product and reducing maintenance issues downstream such as blocked digesters. “There is a need to invest across the entire Wastewater Treatment Works process chain, but that’s easier said than done when resources are limited,” says Kevin Mooney, Wastewater Sector Director at CDEnviro. 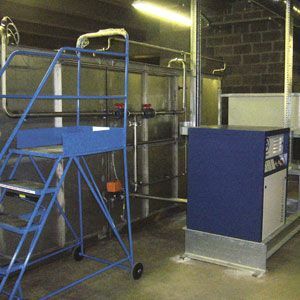 Severn Trent Water recently conducted a successful trial of a Static Sludge Thickener provided by Plantwork Systems (PWS) at its Blockley Sewage Treatment Works in Gloucestershire. Blockley is a small rural site in the Cotswolds. It is challenging because it is remote, accessed by a narrow track and predominantly unmanned. Prior to the trial, sewage sludge from the site was being removed by tankers visiting 4-6 times per week, transporting sludge with a dry solids content of 0.6-1.2%. PWS’s Static Sludge Thickener is a technology that offers an efficient means of gravity settlement, making it possible to achieve considerably thicker sludge and reducing handling and transportation costs. 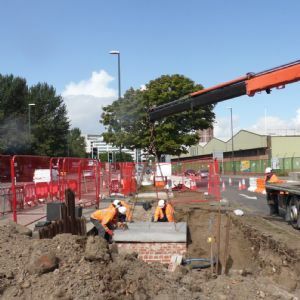 The Blockley site was selected for a trial of the technology in order to prove the business case for installing the Static Sludge Thickener on multiple sites, saving money through a reduction in tanker movements. 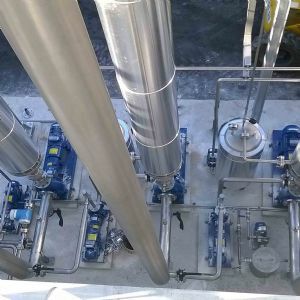 The target for the Static Sludge Thickener at Blockley was to increase sludge thickness to 5.5%-6% dry solids, reducing tanker movements accordingly. Over the 12-week trial period, there were a number of restrictions on site which inhibited the full benefit of the technology throughout the trial. Nevertheless, almost 200 cubic metres of sludge was removed with a dry solids weight of 8.65 tonnes: the average percentage dry solids achieved over the period was therefore 4.4%. Whilst this was below the original target, the trial was considered a success by Severn Trent Water, given the operational restrictions of the site. Based on the sludge density achieved in the trial, it has been concluded that a payback period of 3-5 years is possible on a number of Severn Trent Water sites. This represents significant savings and provides a strong business case for future installations. A site is currently being selected for the first permanent installation. -This article appears in the March 2018 issue of WWT magazine.